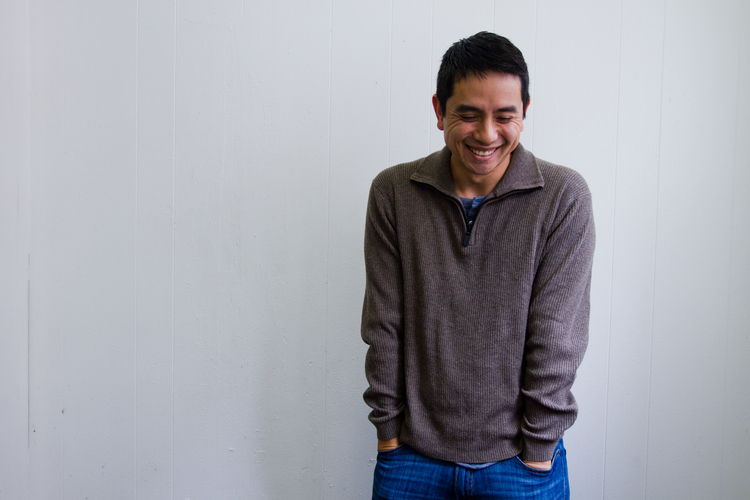 Today we present picture book author Minh Lê ! 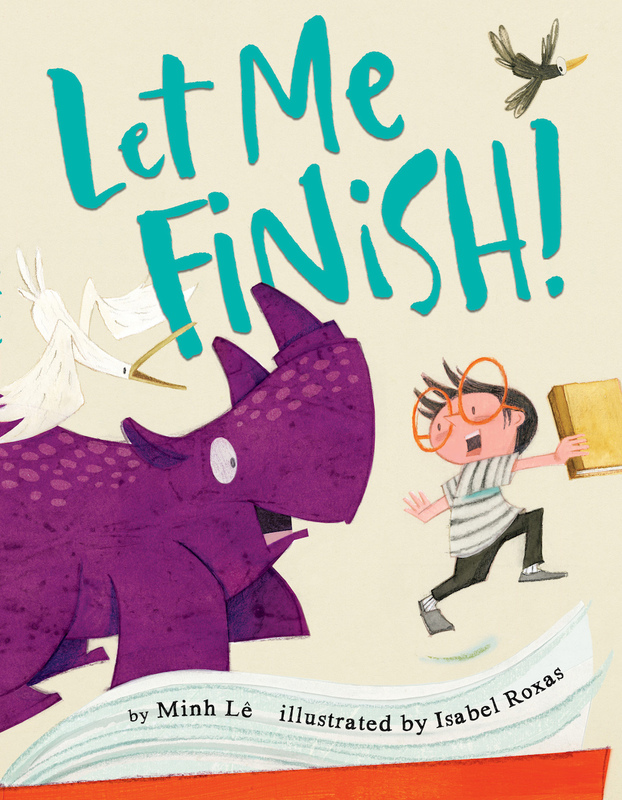 Minh's debut picture book, LET ME FINISH is out on June 7th! You're a federal early childhood expert and contributor to journals and blogs. How did you come to write children's books? First of all, thanks for having me on the blog! I've always loved children's books and that interest fits in nicely with my day job in early ed policy since (and I know I'm preaching to the choir here) children's literature is such an important part of early childhood education. I started blogging about picture books after grad school while in the middle of a proloooooonged job search. I was desperate for a creative outlet to remind myself that writing could actually be fun (as opposed to writing cover letters, which is the exact opposite of fun). I had no idea that I'd find such a rich and welcoming kidlit community already thriving online. It's been a lot of fun and amazing to have a platform to discuss picture books (esp. sharing my favorites), but writing my own children's books was always the dream. Congrats on your debut, LET ME FINISH! Tell us about it and what inspired it. Thanks! At the time I sat down to write, people were freaking out about spoilers for some show (I think it was Downton Abbey, Breaking Bad, or possibly both). I loved the tension created when people love something so much that they can't help sharing it with others... and the danger that presents if you haven't had a chance to see/read something yet. Even right now, seeing people try to avoid Game of Thrones spoilers on Twitter is like watching a giant game of online dodge ball. In kidlit, the best example is probably Harry Potter, with readers (of all ages) rushing to finish it before anyone could spoil important plot points ("Can you believe that _________ dies?!"). I thought this would make a fun basis for a picture book because even if the idea of spoilers was unfamiliar, that basic tension could make for a fun read aloud with good narrative momentum/energy (and hopefully some of the metafictional wrinkles add some interesting layers to the story). Was your road to publication long and hard, short and fortuitous, or somewhere in between? That totally depends when you start the clock. I'd been talking about writing a children's book ever since I graduated from undergrad in 2001, but it wasn't until late 2013 (with a helpful and necessary nudge from my wife) that I finally put a complete idea down on paper and sent it out into the world. From that point on I've been really fortunate and things have fallen into place nicely, landing a kickass agent (Stephen Barbara), teaming up with the perfect illustrator/partner-in-crime (Isabel Roxas), and getting picked up by an all-star editor (Rotem Moscovich). What is the most surprising thing about the publication process? As with a lot of newcomers, the thing that surprised me most was the timeline between getting the deal and the publication date. As a novice, when I first heard it would be 2 years before publication, it sounded like an eternity... but now having gone through it, I understand why it takes the time it does and am grateful for it. Thanks to the thoughtful editorial process (Hi Rotem! ), the final book is much stronger than my original manuscript. 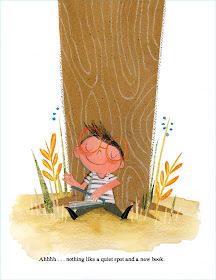 Plus, since I'm not the illustrator, it wasn't me doing most of the heavy lifting during those two years (Hi Isabel! ), so as far as I'm concerned, the timeline is just right to give everyone the space they need to do their thing and collectively make our book as good as it can be. 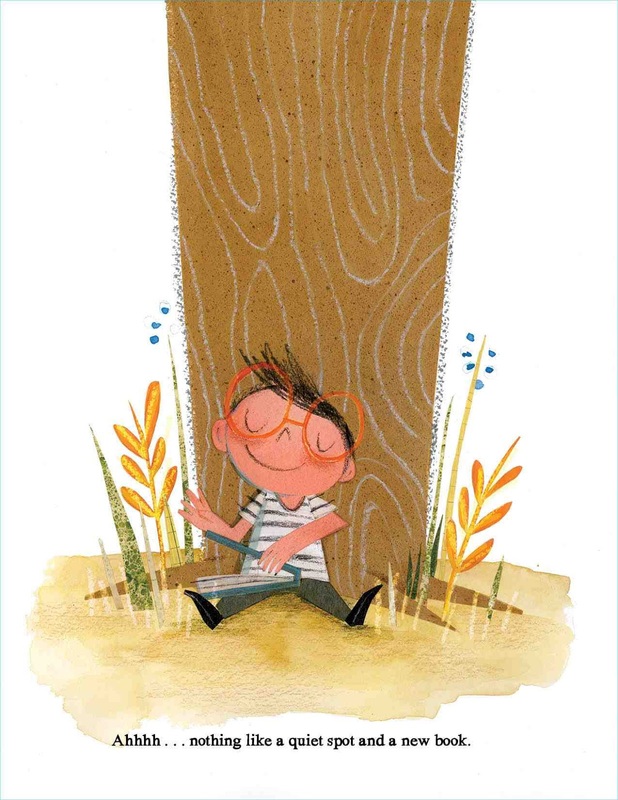 I always try to keep at least 3-5 viable ideas in the works at any given time, but I do have one picture book manuscript that is making some headway... I can't say much about it quite yet, but I'm hoping to be able to share news soon. I can say it's a little more personal than Let Me Finish! and is inspired by some of my experiences growing up in an Asian-American family. That, to me, is the best advice for picture book writers. It's easy when staring at a blank page to think that the most important thing is to put words on a page... but what you leave off is just as important. That doesn't mean your text has to be spare--it can be grand and verbose--but every word should be essential. It's also a good reminder to leave plenty of space for the illustrator to work their magic, because that's when a book really takes flight. Other advice: Maybe don't do what I did and reject yourself for 10+ years before sending out your first manuscript. Just a thought. That is great advice! What is the one thing most people don't know about you? Well, actually that's an interesting story, it all began with _________ probably cursed_____________ too many goats for one plane_______________ obviously, after that we were never the same. You can find me at my website at www.minhlebooks.com or my (sporadically updated) blog www.bottomshelfbooks.com. I'm also on twitter: @bottomshelfbks and on Facebook through The Niblings page. Minh Lê is the author of Let Me Finish! (Disney-Hyperion, June 7), illustrated by the super talented Isabel Roxas. He is a member of the children's literature consortium The Niblings and writes about picture books at Bottom Shelf Books (and occasionally for the Huffington Post and the New York Times). Outside of spending time with his beautiful wife and sons, his favorite place to be is in the middle of a good book. Minh, Congrats on Let Me Finish! I look forward to reading it. Loved reading about your process. Congrats on your new book! I like that quote from Antoine St. Exupery. This looks like such a fun read! Congras, Minh! Congratulations! Looks great - can't wait to read! Huge congrats, Minh on Let's Finish! Congratulations, Minh! Excited for you.